Immaculate Heart of Mary is hosting the Annual Memorial Mass for the Loss of a Child. 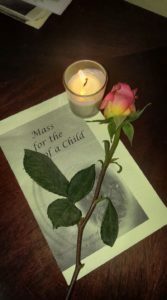 This mass is open to all who have suffered the loss of a child, regardless of age or event, and their families. This is an annual event and a wonderful way to remember our loved ones.